Just last night Tamar released a surprise visual for the opening track on her album.. a song called Angels & Demons. This dance hall-esque record comes as a surprise to many of us, because it doesn't feel like what we're used to from the powerhouse vocalist. Needless to say I totally dig it. Tamar's new jam comes courtesy of Mel & Mus ( Rihanna, Verse Simmonds, Chris Brown), and super dope writers, Tre Ace, Atozzio, and Kam Parker. They definitely have a jam on their hands. 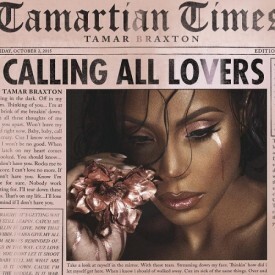 The visual mimics the vibe of the song as Tamar is captured among the vibrant colors and beautiful scenery similar to that of a remote Island. Not only do the beautiful scenery and splashes of color catch your eye, but honey Tamar is looking too good in this visual! I really dig this. Calling All Lovers is set to drop October 2nd, but it's available for pre-order on iTunes now! u right i wasnt expectin this but fgood job tamar!